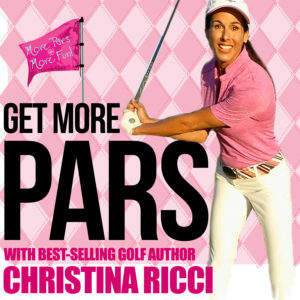 Tip of the Week 17 » Play the Bunker like the Pros – CHRISTINA RICCI MORE PARS! Pros have this peaceful-easy feeling when they enter the bunker. They get in and effortlessly splash it out …right next to the pin. Recreational players on the other hand, have this immediate sense of dread when they see their ball fly into the sand. Let’s get you more like the pros. I share 2 essential keys to get that peaceful-easy feeling from the sand.